Please use the form below to submit a request for WaterJet Cutting. (Plan ahead if you need to meet a deadline). Once ready, you will be notified via email. A ticket will be automatically generated in our system, and a confirmation email will be sent (to the email address you provided) with the ticket number indicated in the subject line. ELEC391 Groups are allowed to submit five requests per term. Note: If you do not receive a follow-up email from staff within 2 business days, please reply to the confirmation email for an update. Please use this form if you are requesting WaterJet cutting in the context of an ECE undergraduate Project Course, Capstone or NVD. Please indicate whether this request is for capstone, or another ECE undergraduate course. 1st GROUP SUBMISSION2nd GROUP SUBMISSION3rd GROUP SUBMISSION4th GROUP SUBMISSION5th GROUP SUBMISSION (Last Attempt). For capstone students only. Note: we cannot begin your request without having a speedchart. NOTE: Provide DXFs normal to the face that you need to cut, otherwise the job will be rejected. *The waterjet will try to cut through the bending line. 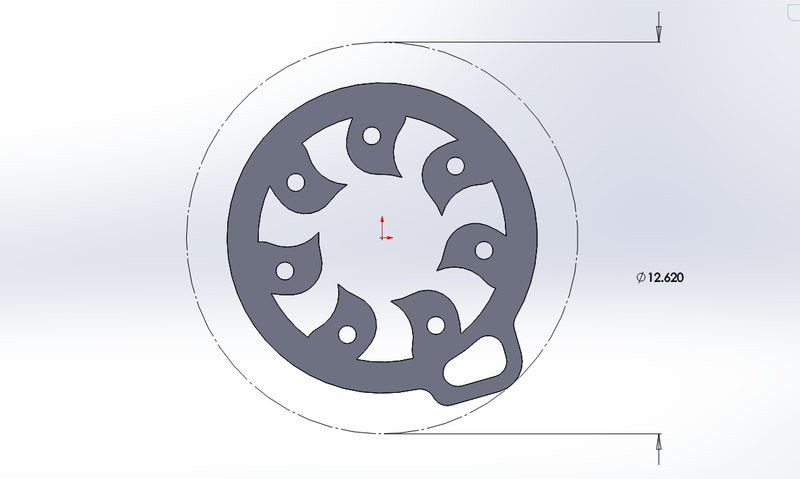 You will have to remove it by editing the DXF , the job may be rejected or stalled. NOTE: The Machinist will not bend it for you if he does not know the location or the degree of the bend. 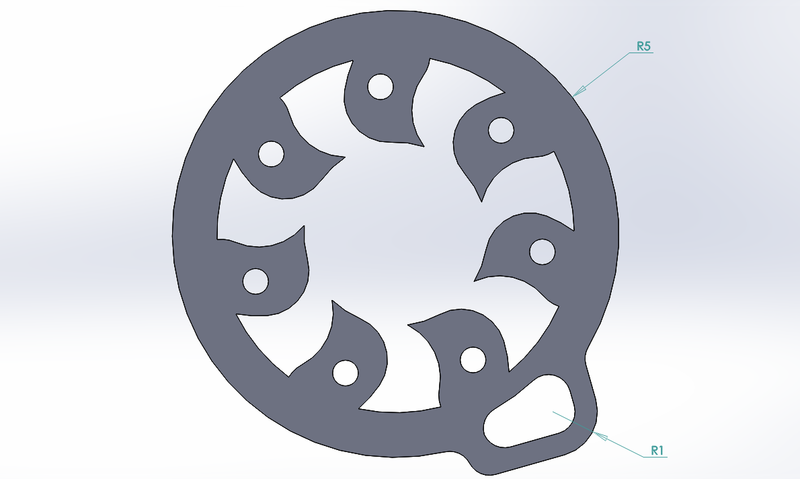 *The waterjet will cut the holes or the indents you will not need the dimension location of the bend since the holes will self-locate the position of the bend. 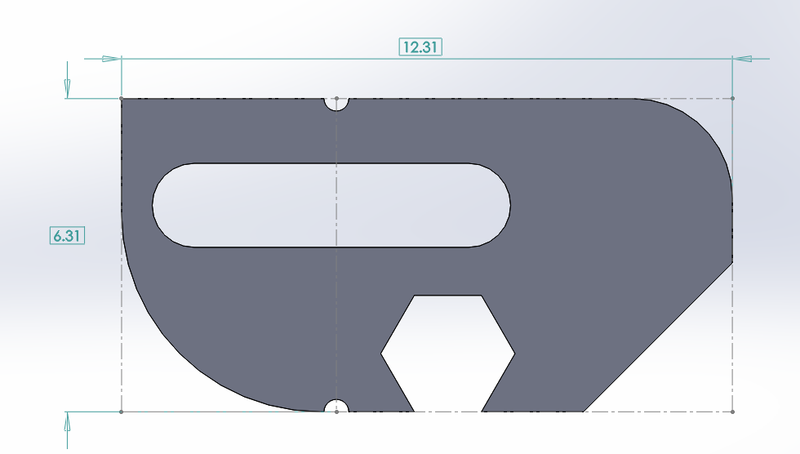 *A 3d square feature was added to the sheet metal. Our waterjet is a 2X (Axial) cutting system that works such as an XY cartesian plotter. Like in a paper printer where you use defined sheets of paper, in our waterjet the thickness of the sheet to cut must remain constant in your design process. Other manufacturing operations such as countersink or a counterbore holes must be post-processed. We reserve the right to refuse or cancel a submission once the design function is evaluated. ( i.e. Acrylic or Aluminum use for a platform base instead of wood which is more affordable and offers the same design functionality). We reserve the right to refuse or cancel a submission once the design function is evaluated. ( i.e. Aluminum material used for a robot arm platform base instead of the use of wood which is more affordable and normally offers the same support functionality). Powder coating is a type of coating that is applied as a free-flowing, dry powder, similar to painting. It is useful when electrical isolation is required on metal parts. Expect an increase of dimensions by ~0.1 to ~0.2mm.